Dispose your e-waste the right way. Greenscape Eco Management has been incepted in late 2007 and has grown to be India's leading provider of IT Asset Disposition services. 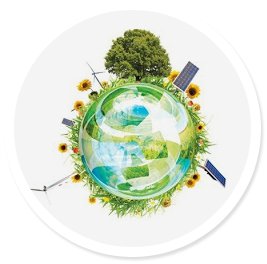 Greenscape Eco Management serves corporate clients in the IT, IT-enabled, and telecom sectors to manage their electronic waste' in an environmental friendly manner while also generating revenues for the clients. Our success is founded on the delivery of world-class supply chain management services to clients for their end-of-life electronic waste management needs. We also manage all business, legal, and environmental risks associated with electronic waste for our clients. Regardless of the waste management requirements – large or small, complex or simple – our service portfolio coupled with our rich experience of dedicatedly working teams we will create the best solution for your business.